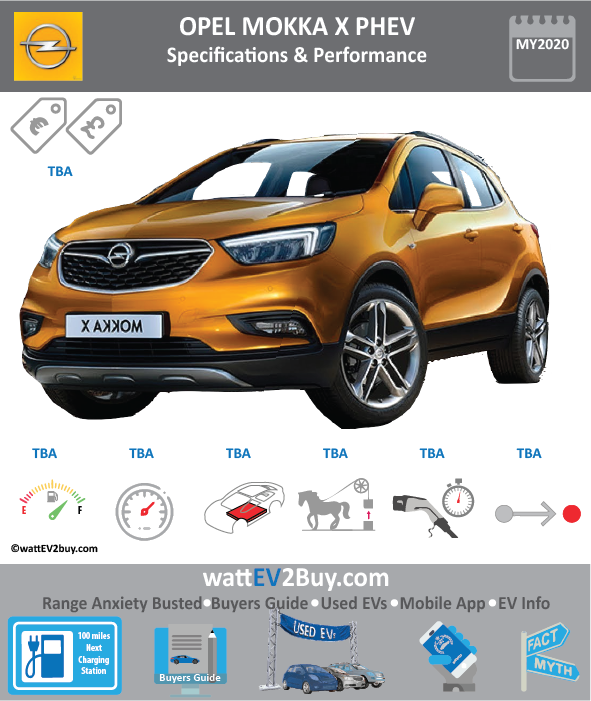 wattev2buy explore the Opel Mokka X PHEV specs, range, battery, and self-driving level as it vies for a position in the growing EV market. Interested in buying the Vauxhall Mokka X PHEV? See how the price and range of the Opel Mokka X Plug-in compare with its competitors in key markets. Currently there are no Top 5 EV news related to the Opel Mokka X PHEV.